It’s time! The highly anticipated Fall Launch happens tonight. Now, about the new pieces! Tonight, I’m uploading The Belle top, The Babette jumper, The Emmy shorts and a *beautiful* two-of-a-kind Bonnie dress that coordinates with the jumper SO perfectly, I am seriously excited for the lucky mumma who scores it! I love a well thought out wardrobe, even for kids! So I’ve designed these four pieces to be mix & matched to create a gorgeous base wardrobe for your sweet girl. Add in a great pair of skinny jeans, some fun tights, a classic white tee, and a chic blazer (or cardi!) and your girl will have an enviable Autumn capsule! There are so many fun ways to style these pieces; I can’t wait to see how y’all wear them! To keep things simple, tonight's launch will be on ETSY only, not the Big Cartel store. Blog readers, use code BLOG10 to save 10% on all orders placed in the next 24 hours. Click to be redirected to The Daydream Believers Designs shop at Etsy. 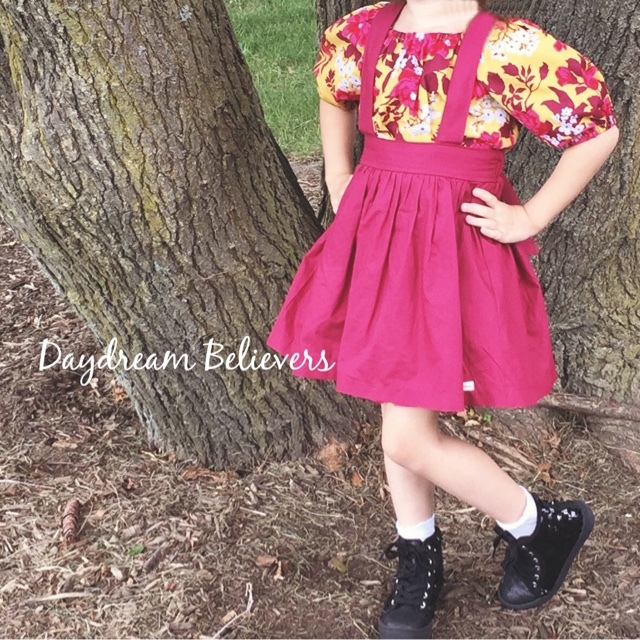 Outfits in this post were designed and created by Daydream Believers Designs.